A warm welcome and thank you for stopping by my blog. Here's another quick make using the stamps from Creative Stamping 57. 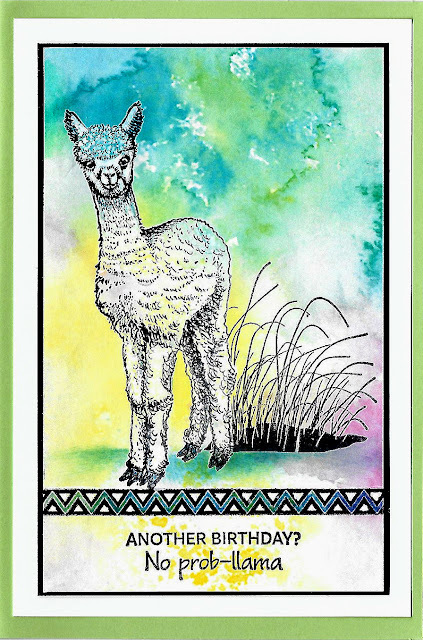 The background paper is from the packaging that came with a set of GiogioCraft stencils, with a little extra shading in yellow around the llama and to ground the feet. 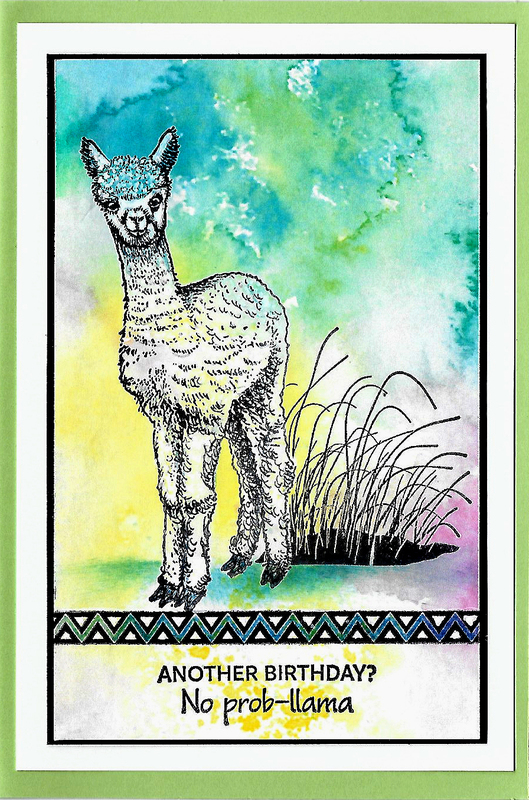 ooook, I spotted this super fun and gorgeous card a bit ago....today I have the chance to comment it properly, and I was wondering how the background was made. Well I didn't see that coming ! ;-) You amaze me , Claire! Ha ha you are queen of upcycling you should have guessed...shame on you for not recognising your own handiwork!